) were developed to provide the highest quality of articles and information. The Writings of African-Americans®: From Blogged– The Writings of African-Americans is a Best Blogs 2010 by Blogged in Crisis Reporting by Tres Mali Scott with a rating of Very Good (7.5). The poetry, short stories, articles, and topics published by https://writingsofafricanamericans.wordpress.com do not reflect the opinions of TWOAA, TILPNP, or TMSC Consulting Services, LLC. The Writings Of African-American’s (TWOAA), has a Standard of Writing for publishing your poetry, short stories, and articles. Plagiarism will result in the termination of your publishing relationship with TWOAA and TILPNP. Enter your email address to follow The Writings of African-Americans and receive notifications of new posts by email. What is new on TWOAA? What The Readers of TWOAA Have To Say! The Writings of African-Americans®: From Blogged-- The Writings of African-Americans is a Best Blogs 2010 by Blogged in Crisis Reporting by Tres Mali Scott with a rating of Very Good (7.5). Tres Mali Scott, M.Ed., M.S., Ph.D. (ABD) is the Senior Editor And Chief for all TMSC Consulting Services, LLC Parented Entities. She is a Wikipedia the free Encyclopedia writier, Experts123.com the Questions and Answer Encyclopedia writer through a Pulitzer Center Filter, and is a Reference on the Taliban for Right Health with the NATO-led International Security Assistance Force (ISAF). The Scott Internet Writing Style, also called The Scott Crisis Reporting Style of Writing, as of January 2011 has been adapted by companies. 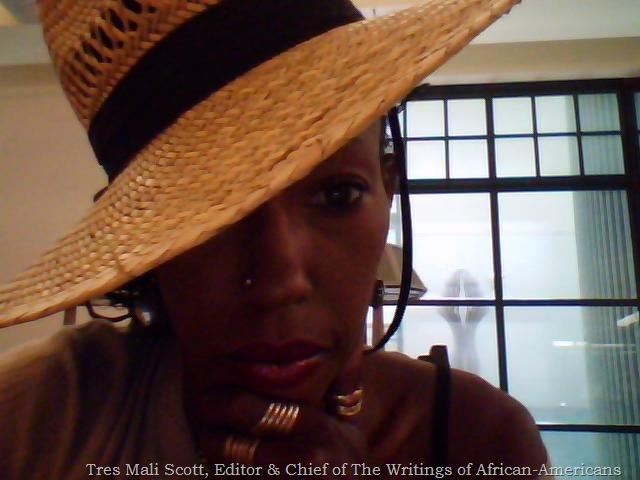 The Writings of African-Americans is also consided Best Blogs by Blogged 2010 in Crisis Reporting by Tres Mali Scott with a Rating of Very Good (7.5).